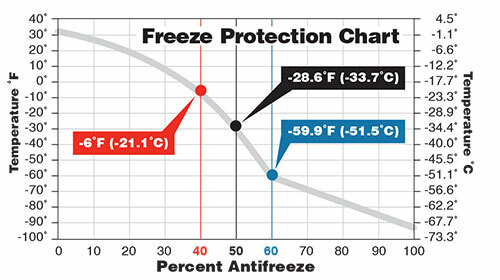 AMSOIL Propylene Glycol Antifreeze & Coolant is formulated to provide benefits beyond those provided by today's conventional antifreeze and coolant products. 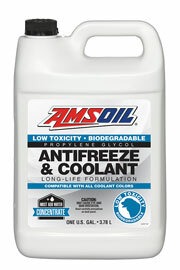 Unlike conventional ethylene glycol-based products, which are acutely toxic, AMSOIL Propylene Glycol Antifreeze & Coolant is biodegradable and its low toxicity limits the threat to children and animals. Its unique formulation provides maximum cooling system protection in extreme temperatures and operating conditions.